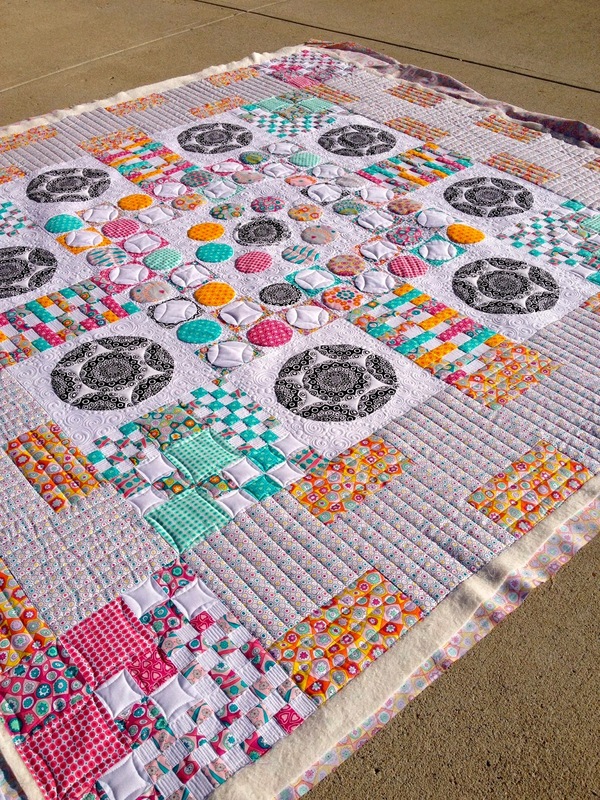 One of my clients brought this Sarah Fielke Millefiori Mystery Quilt for quilting. Pattern available on here. 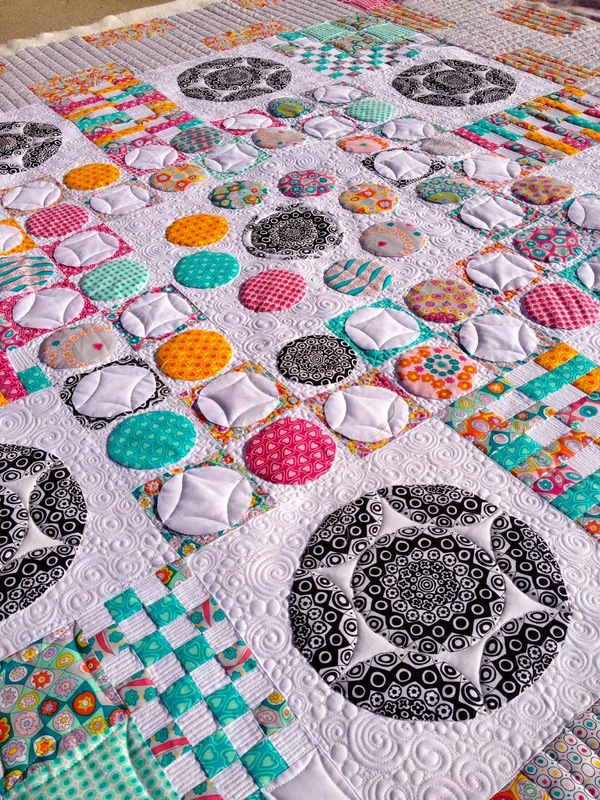 My client is a beginner quilter and my eyes popped out when I saw this photo in my email. 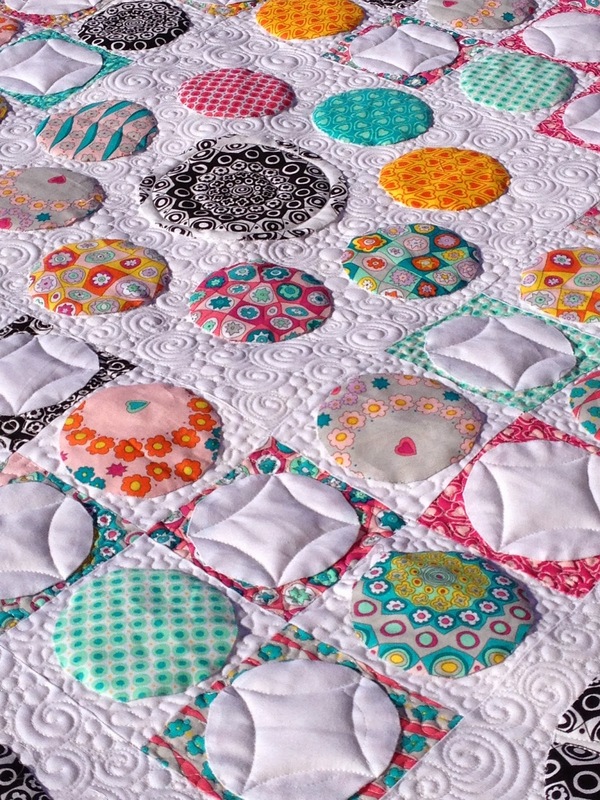 A beginner quilt? 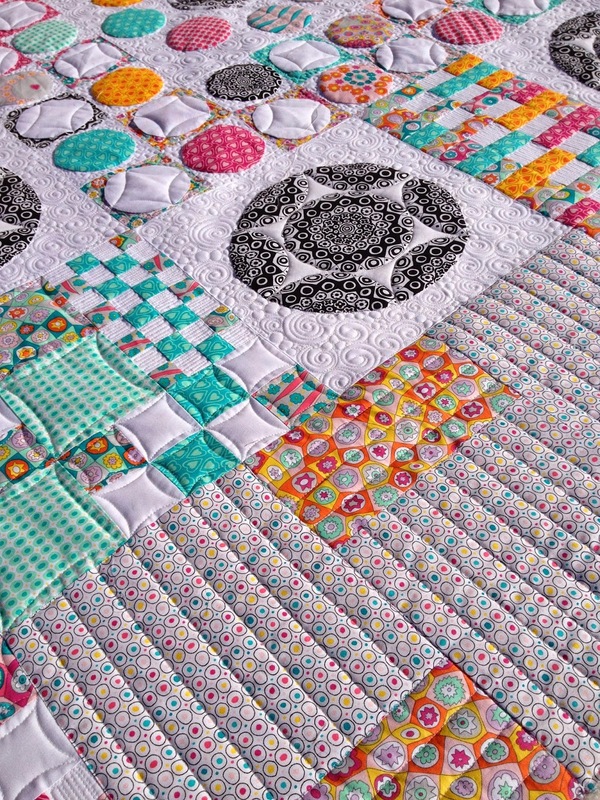 Look at all of those hand applique'd circles!! 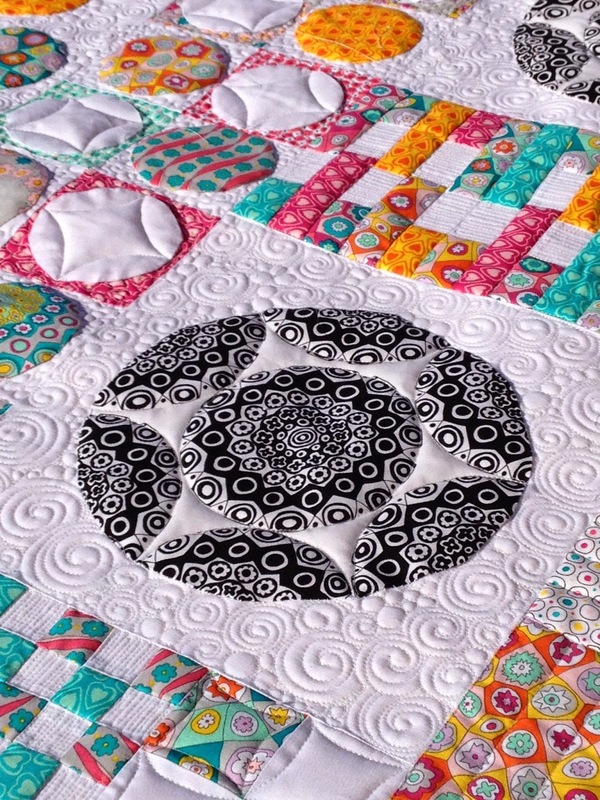 I densely quilted around all of the larger printed circles, and then stitched along the printed curves of the circles so that the 'star' shape popped out someone. 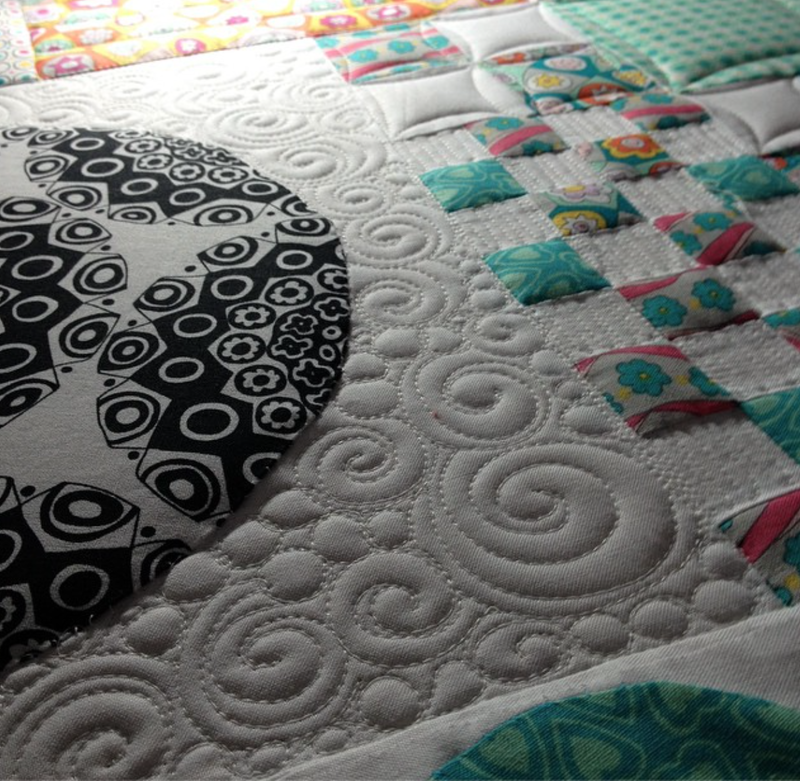 The dense quilting also allowed the circles to pop. 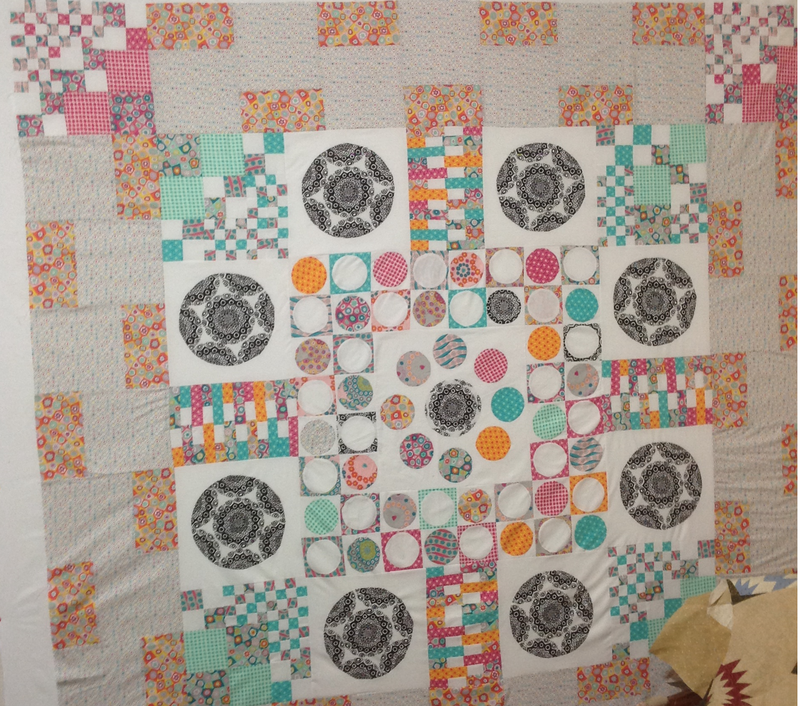 For some reason I love to emphasize the piecing this way, as I did with the little white squares as well. I love the texture that it creates. 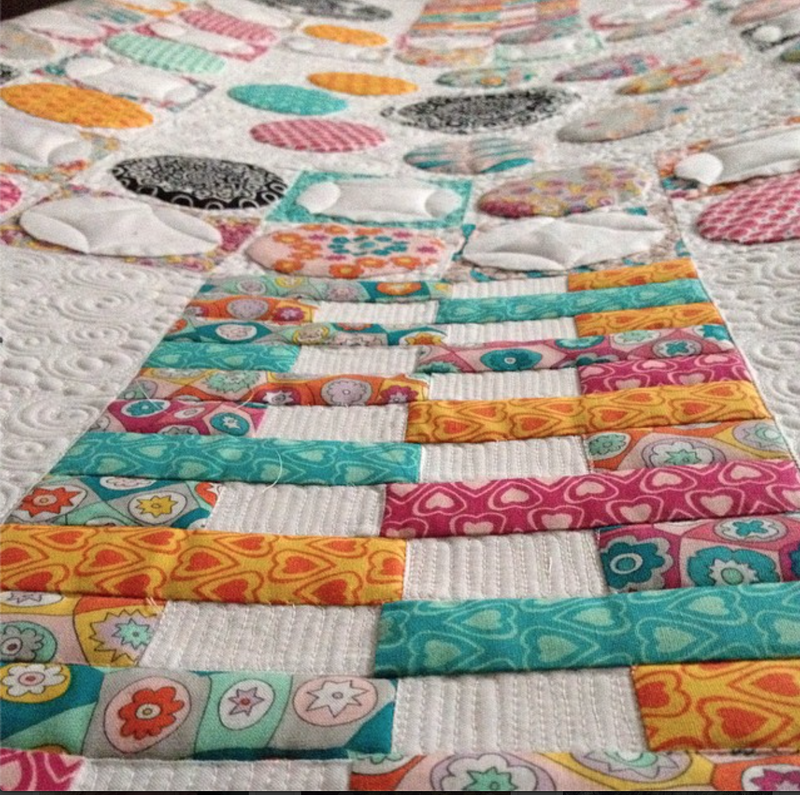 The border was quilted with 1'' lines. Sigh. I could look at this all day. I love how the circles pop! I stitched in the ditch these strip blocks, and they pop even more. My clients inspire me. That's all.